Enjoy your family vacation in our stunning 1400+ sq. ft. 3 bedroom, 2 bath condo. We want you to have a care-free experience - we generally supply everything you need to get started. From toilet paper, paper towels, laundry detergent, dishwasher tabs, garbage bags, etc...to a fully functioning kitchen including some non-perishable staples. You may need to restock a few items while you are here and whatever you have left, you can leave for the next guest! We also have a storage unit with a few beach chairs and wagon that will make your short trip to the beach enjoyable. We want our guests to have a relaxing experience and hopefully these conveniences help. Our complex is located on approximately 8 acres of prime lagoon front property. 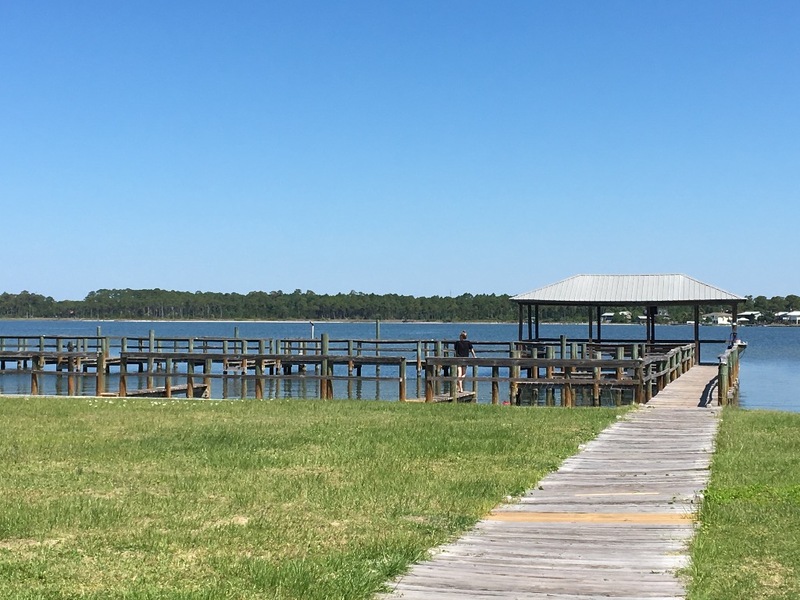 Sea Oats offers a private boat launch, fishing piers, olympic size pools, gazebos and picnic area with grills. 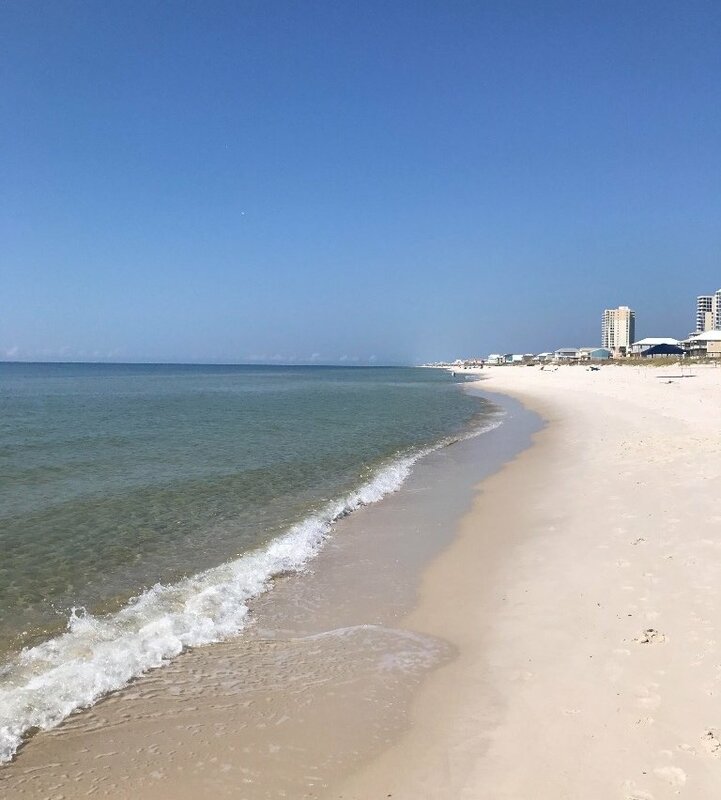 We have our own private beach access just a short walk from the unit. This property does not contain an elevator but our unit is conveniently located on the first floor. The unit is on the first floor. Smoking outside on deck only. Smoking inside will result in a extra $200.00 cleaning fee. That will be collected from the $200.00 damage deposit. We give Sunshine and Tan an A-1 Rating. The condo was great - clean and plenty of room for all eight of us. The beach was just a short walk away and even though it was a cloudy and rainy first day we enjoyed riding the waves. The grandkids really enjoyed the fishing from the pier and they enjoyed the pool. The owner, Jay, is one of the nicest considerate individual I have had the privilege to know (even though we never met face to face). We didn't have any issues to come up about the condo, but I did encounter some issues with my car and he even help me find a mechanic. He worked with me in any way he could. It's really great to know that there are still kind-hearted people in the world. I highly recommend the condo and especially the owner, Jay. Thanks again Jay! Jay's condo was perfect for our family. Our 3 kids had plenty of room and really enjoyed all the beach toys! The wagon and beach chairs were so convenient. Our oldest son loves to fish. The bay was easy to get to and beautiful to sit by. The beach was just a short walk, so we could easily walk back for lunch and snacks. Jay answered all my questions and was very helpful! Thank you for a wonderful vacation!! Very well-equipped, spacious condo in a great location. Sunshine and Tan Lines was a great place to stay. 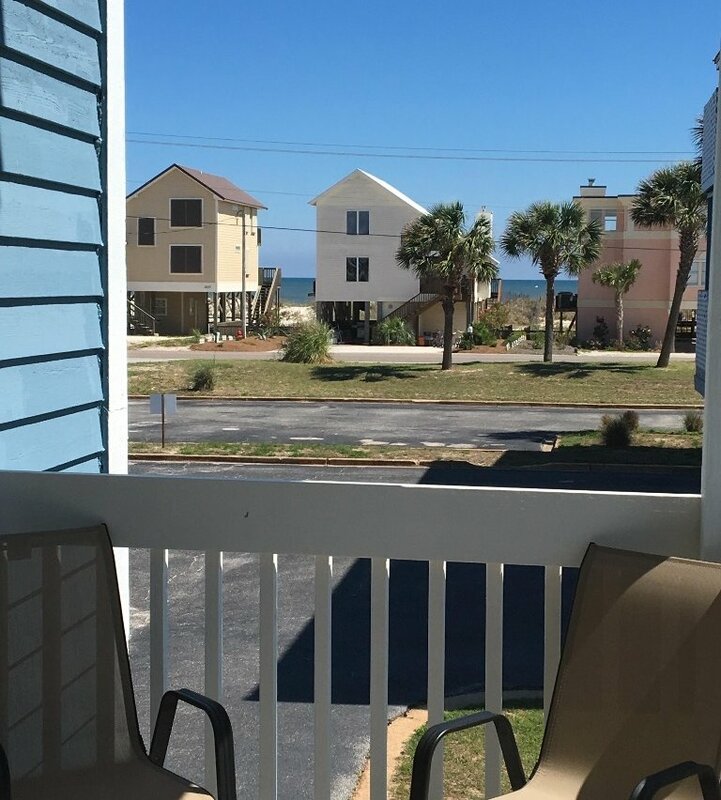 It's a very short walk over to the beach, the pool is great, and the condo itself is beautifully decorated, HUGE, and contains the best-equipped kitchen I've ever seen. This condo has everything you need! 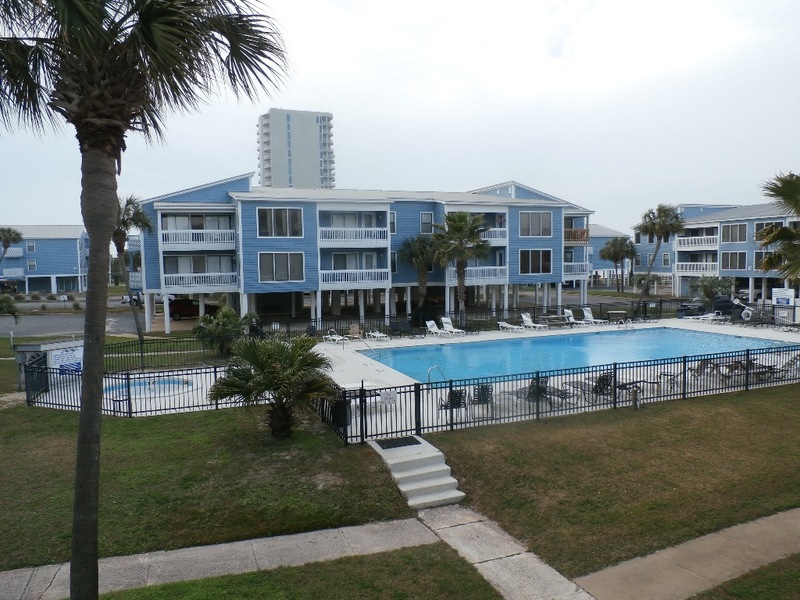 Very nice condo, short walk across the street to the beach. The pool is nice and close. We had plenty of room for the 7 of us. Condo had everything we needed, including towels and chairs for the beach, as well as a wagon to get it there. The owner was very helpful and responsive. It's a mile or so from downtown and the crowds, but just a short drive to plenty of restaurants. Great place, highly recommended!! Everything you need for a beach vacation. Friendly guest great pool and very peaceful! Will be back for sure!!! Our stay at Sunshine And Tan Lines was GREAT!! This place was so clean and well maintained. It was such a pleasure to stay here. The children loved being able to fish off the pier at the Lagoon. The beach was right across the street and the pools were so clean and big! It is close enough to everything yet far enough away from all the busy traffic!! Hope to return again soon!! This condo was amazing! It was very clean and well kept. We had plenty of space for our family of 7 that came. Jay the owner was amazing to work with. He was very prompt in responding to my questions and our minor problem in getting the dish washer fixed. We can’t wait to go back! Eight of us enjoyed our stay. It was a short walk to the beach. The storage closet had a great little wagon for taking our stuff to the beach each day. The rooms were big. Enjoyed working with the owner. Our stay in your condo was a great experience. There was plenty of room, the furniture was comfortable and everything was updated. The outside appearance of Sea Oats was nice and clean. The short walk to the beach was really nice and the Lagoon was so peaceful. The kids had a great time in the pool. It was quiet at night, which is so important to us. I can say we got some much needed rest and relaxation. We do plan to come back.